In the beginning DO NOT select Option #1 for refund. But then which button should you push to get a real person? The fastest way to talk to a human at the IRS after you select your language is to press Option #2, then Option #1, then Option #4 and finally Option #2. – When it asks you to enter your SSN or EIN to access your account information, don’t enter anything. – After it asks twice, you will get another menu. 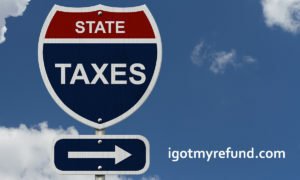 Do you owe prior years taxes to the IRS? Delinquent tax payers will receive IRS notice that provides a specific number to call for their tax account info. Your Taxpayer Rights! Your Rights! The official IRS refund cycle charts have been eliminated and replaced with an IRS Information Guidelines for the Tax Preparation Community publication. This information its value,awesome thank you. I did have problem with my taxes I been trying to contact IRS. i did almost everything to be able to talk to real person but not luck until I got on this amazing web site I was able to fix my problem. OH Goodmorning congrats and prayers to all . God got us. Ok I was not able to pull up my 2018 taxes on the wmr but my 2017 amended came up, please understand that i filed both at same time and yes i had to do a id verify which i went into the office to do a week ago , so i decided to call this morning and was told that the id department is reviewing my taxes and it can take up to 45 days ,. ooooommmgoodness …heeeellllp but i was able to order both transcripts through the mail . you are really awesome , I was trying to contact from the past 3 months but couldn’t. with this guide i was able to contact them in 4 hours. just checked my account online at IRS.Gov. says my return hasn’t been processed yet. Guess that’s right because I have EIC and Child Tax Credits. They say they won’t process those returns until February 15th. This needs to be updated. Last time I called step 4 should be to dial #3 and then dial #2.